Our new series, Reasons to Travel Now, highlights the news, events, and openings that have us scoping out plane tickets each day. 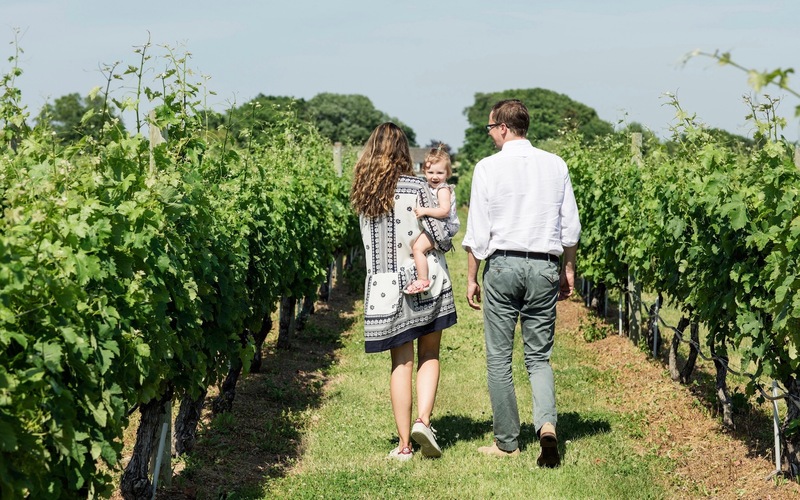 With Memorial Day Weekend fast approaching, we talked with a local Sag Harbor winemaker about the other side of the Hamptons. Wölffer is the proprietor of Wölffer Estate, a winery founded by her father in 1988 that helped put Long Island on the wine-world map. Exciting things are happening at Wölffer since she took the helm — for example, the estate has gotten in on the distilling game and plans to release a brandy this fall — but Wölffer is also deeply conscious about the winery's ties to the town where it was born. Sag Harbor isn't just a symbol of the “old” way of life amid celebrity mansions and seasonal vacation travel. 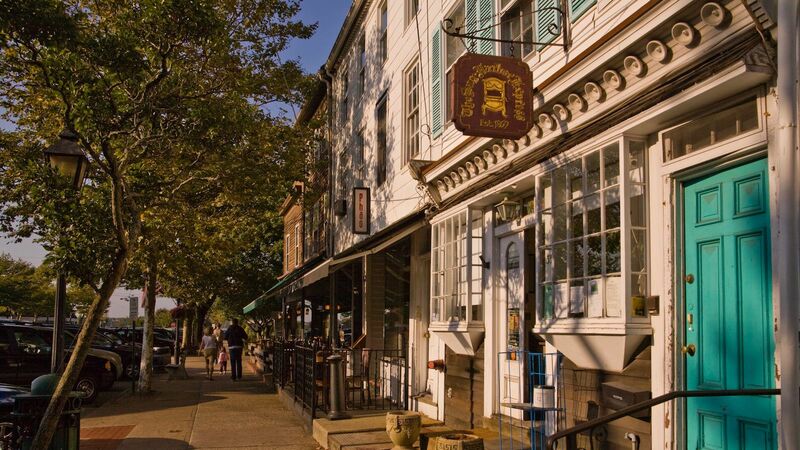 It's a destination in its own right, one of the best-kept-secret small towns on Long Island. “There is so much to do here,” said Wölffer. “Nature preserves, beaches, events, museums. People have no idea how much art is out here, how much history.” And, with nearby Bridgehampton an easy ride from the city on the Long Island Rail Road, you can discover the community spirit of the old Hamptons without breaking the bank. Here are Joey Wölffer's suggestions for how to see Sag Harbor like a local. Find the perfect waterfront retreat. There are plenty of inns and bed-and-breakfasts around town, but for a classic stay right on the harbor, Wölffer suggests Baron’s Cove — a recently renovated 67-room property with beach access and a saltwater pool. “It's on the water, which is really special,” but still an easy walk into the main town. Plus, said Wölffer, “it has a fun vibe to it, kind of a ‘Dirty Dancing’ feel.” Indeed, the original 1960s-era hotel was a swank haunt for the likes of Truman Capote and Willem and Elaine de Kooning. Take advantage of the restaurants in town. 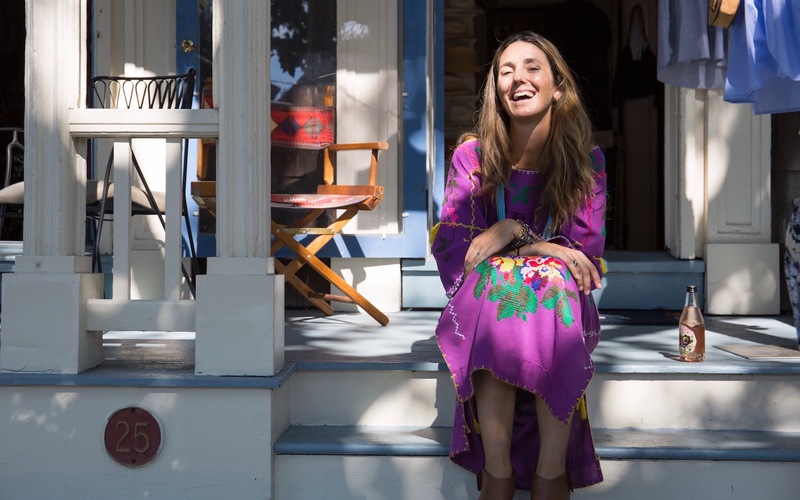 Sag Harbor is one of the best stops in the Hamptons for vintage shopping and antiquing — a fact that Wölffer takes seriously at her own boutique in town, Joey Wölffer, which houses a rotating vintage section curated by a local dealer. Her favorite must-stop vintage shops include Black Swan, an antique-hunter's paradise filled with vintage goods and industrial materials. Wölffer also recommends Ruby Beets, housed inside a historic silent movie theater, which is “a little more modern” with a vintage collection supplemented by locally hand-made pottery and bespoke furniture. Wölffer says Sag Harbor is one of the kid-friendliest towns in the area, with plenty of shops, parks, and activities for little ones. Children will get a kick out of the Wharf Shop, an old-school toy store, and the Sag Harbor Variety Store (known locally only as the Five & Dime) — which she calls “the best store in town, especially if you have kids. It's a local staple.” Toys in hand, they will enjoy getting dressed up at one of the many quirky kids clothing shops in town, like Wölffer's choice Stella & Ruby. Wölffer's own roving fashion truck will even be popping up around town this summer stocked with styles for babies and children. 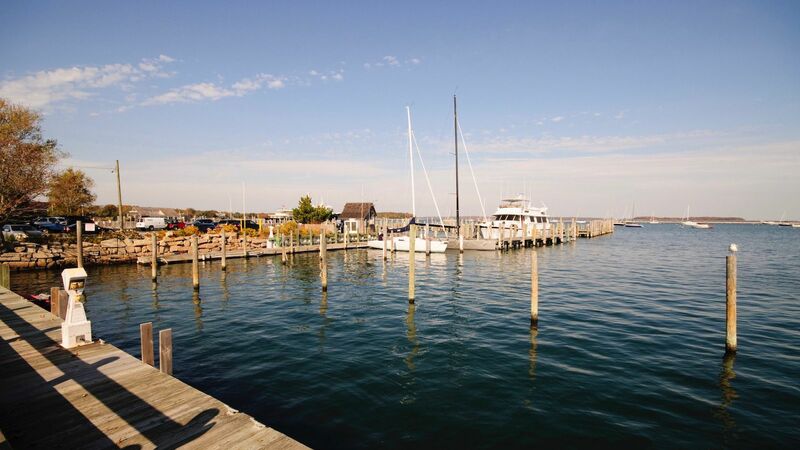 In the end, you'll want to visit Sag Harbor to get a little peace, quiet, and sea air. Spend as much time as you can outdoors, exploring quaint streets around town and heading down to the water. Wölffer says "stopping at the Farmer’s Market is always a great activity on the weekend" — you'll find produce, baked goods, local dairy products, and crafts from Sag Harbor artisans. Spending time on the water is also a must. “We have a canoe, but it's sometimes nice to just sit and watch the boats go out from the Breakwater Yacht Club,” she said. In addition to nearby green spaces like North Haven Park and LongHouse Reserve — "one of the most beautiful art gardens in the country" — you can spend some time in the sun at the Wölffer Estate vineyards. Take a tour before heading to the tasting room to enjoy the winery's latest offerings, like the newly-released canned editions of their beloved rosé cider or the forthcoming red cider and red wine for their Summer in a Bottle series (debuting this August).